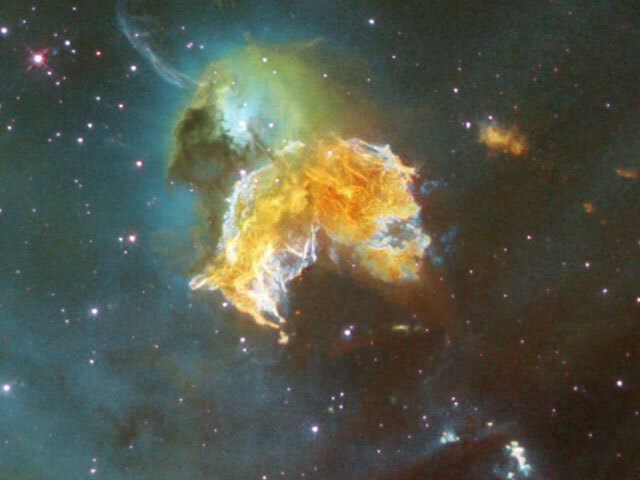 Explanation: What has this supernova left behind? As little as 2,000 years ago, light from a massive stellar explosion in the Large Magellanic Cloud (LMC) first reached planet Earth. The LMC is a close galactic neighbor of our Milky Way Galaxy and the rampaging explosion front is now seen moving out - destroying or displacing ambient gas clouds while leaving behind relatively dense knots of gas and dust. 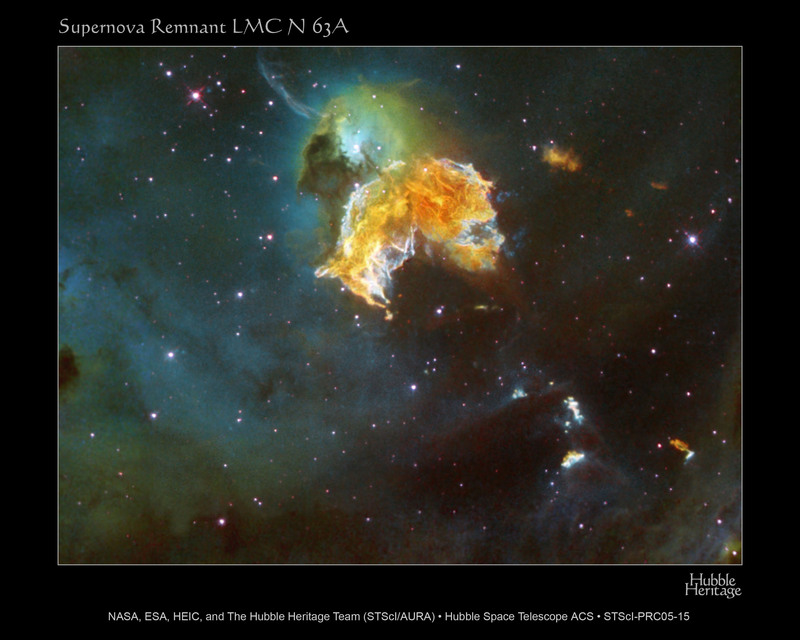 What remains is one of the largest supernova remnants in the LMC: N63A. Many of the surviving dense knots have been themselves compressed and may further contract to form new stars. Some of the resulting stars may then explode in a supernova, continuing the cycle. Pictured above is a close-up of one of the largest remaining knots of dust and gas in N63A taken by the orbiting Hubble Space Telescope. N63A spans over 25 light years and lies about 150,000 light years away toward the southern constellation of Dorado.